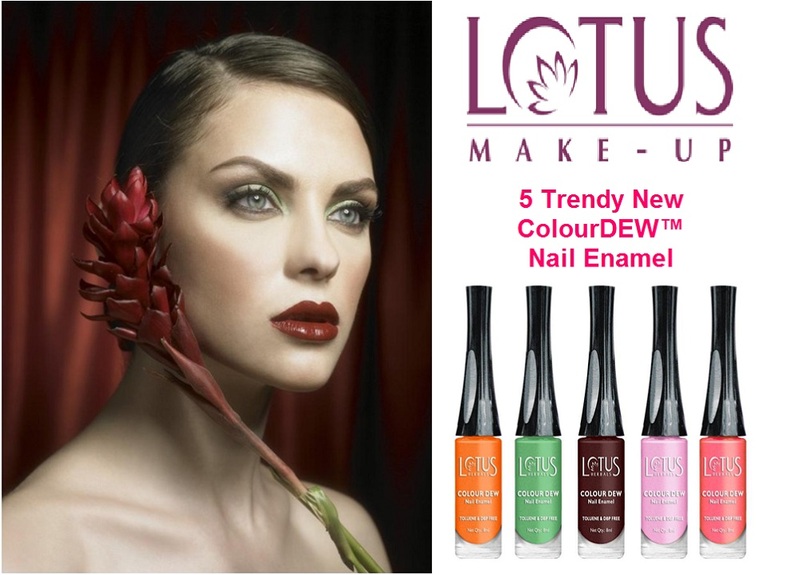 We might know, if you follow regularly that how much I have been liking Lotus herbals colour dews lately and now on this Mother;s day they have launced 5 more exciting and trendy shades!! – A skin irritant and may cause liver damage. – May cause spontaneous abortion in woman. – Narcotic in high concentration. – Attack the nervous system, eyes, blood, liver, kidney and skin. – Disturbs woman’s ability to reproduce & its linked to birth defects. Here's my little haul which I did on women's day!! I am all excited to try their new shades. Are you?? I am also impressed by their shades!!! I'm loving the first shade..is it duo chrome Niesha? Go grapes, Orange Alert and fairy flare are so pretty and I think the left copperish red color in your haul is a repeat buy, I have seen your NOTD with it before. Nice collection. 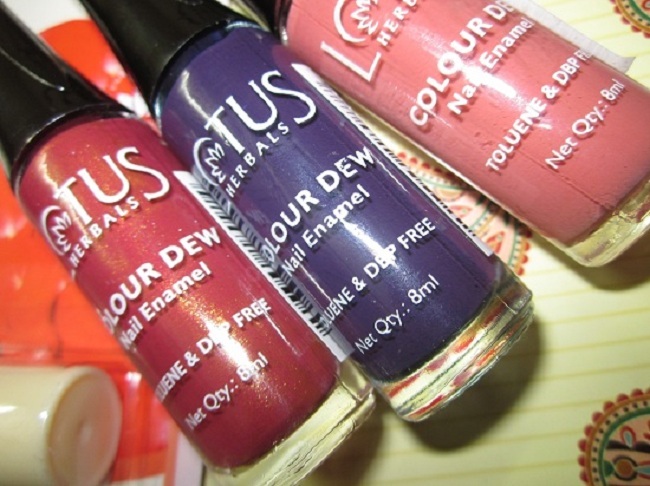 I love the bottle of lotus herbals nail paints. They are so different and convenient to use. Just love the long brush handle. Want to paint these all shades on my nails. I have orange and green colors from streetwear but not other three. Streetwear paints are good too. I have 2-3 of them . Thank you so much Modonika :) I will sure follow back.